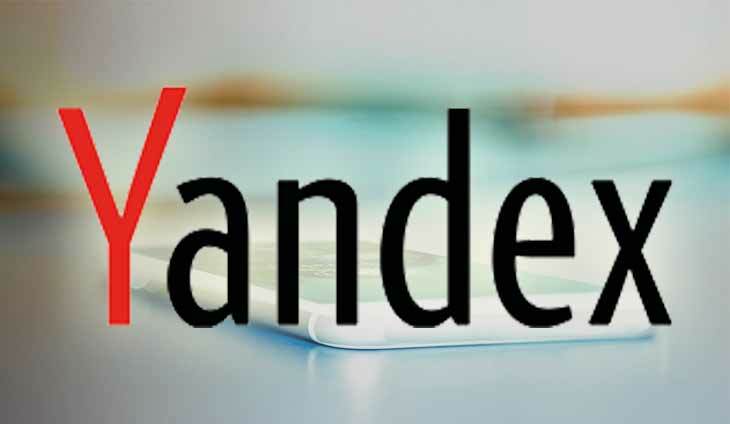 Russian internet giant Yandex on Wednesday launched its first ever smartphone in a highly anticipated move into hardware that builds on popular service apps. The company behind the most widely used search engine in Russia and the ex-Soviet region has recently diversified to defend its market share against Google. Like the US rival, it has created a range of popular apps for services from taxi-hailing to ordering takeaway food. The new device, called Yandex.Phone, will go on sale on Thursday in Russia and online for 17,990 rubles ($269/237 euros) — less than similar phones from competitors Apple and Samsung — and will work with the Android system. While the design was created by Yandex, the phone is made in China. Yandex’s various apps for payment, music, maps, taxi and food are pre-installed on the phone, which will also use a speaker called Alice (Alisa in Russian), which uses artificial intelligence and is similar to Amazon’s Alexa. “We built Yandex.Phone to offer Russian users a smartphone that is equipped with all the localised tools that help users better navigate their daily routines,” Yandex official Fyodor Yezhov said. The phone signals a new phase in Yandex’s development and is designed to compete in Russia with giants like Apple, Samsung and Huawei. This comes after Google launched its own smartphone with mixed success and Facebook failed in its attempts to do so. Yandex started in the 1990s as a search engine similar to Google and has expanded into every corner of the Russian internet. The launch comes after the company last month disappointed tech enthusiasts by summoning journalists to what turned out to be a presentation not of the smartphone but of its speaker. The Yandex phone is not the first to be developed by a Russian company. In 2013 the YotaPhone, designed in Russia but also made in China, was launched with the gimmick of having screens on both sides. However it failed to set the market alight. This time the company behind the smartphone has much more clout. It is listed on the New York Stock Exchange and renowned for creative flair. Tom Morrod, research director at IHS Markit, said Yandex will not “be competing with iPhone or top-end models”. “Non-hardware companies are often happy to take a mid-market position, not hoping to make money” from phone sales, Morrod said. The phone will allow the company to “collect data on all aspects of a user — what they eat, what they listen to” and target them with ads, he said. The Yandex.Phone is priced within the middle range in Russia, where the average cost of a smartphone is 15,000 rubles, according to RIA Novosti news agency. “Yandex isn’t aiming for a colossal success. They mainly just want to sell a certain number of smartphones and get feedback on which direction to move in,” Gagarin said. Yandex and its main Russian rival Mail.ru — which owns the country’s most popular social networking site VKontakte — compete in the booming e-commerce sector as Russia faces pressure from Western sanctions and turns towards China for joint projects. Mail.ru recently announced a joint e-commerce venture with Chinese giant Alibaba while Yandex has linked up with Russia’s biggest consumer bank Sberbank for an e-commerce project valued at $1 billion.